Congratulations on finding the right wedding invitations for your fabulous day! We can only assume that’s why you’re on the hunt for the perfect wedding invitation wording. We’ve got some great options for you. 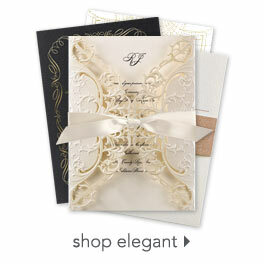 Remember, when you start personalizing your invitations, there will be wording options available for you to use. Haven’t found the right wording quite yet? Be sure to look through all of our articles about wording your wedding invitations available in our Wediquette guide under Wedding Invitation Wording.